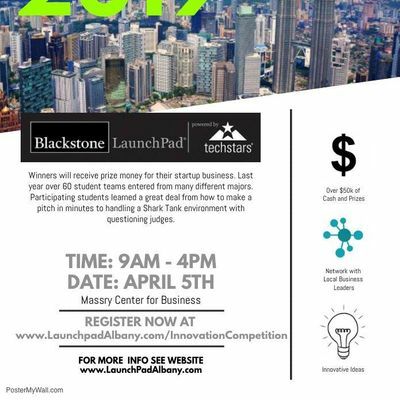 The Blackstone LaunchPad at UAlbany is pleased to announce this year’s Innovation Competition. 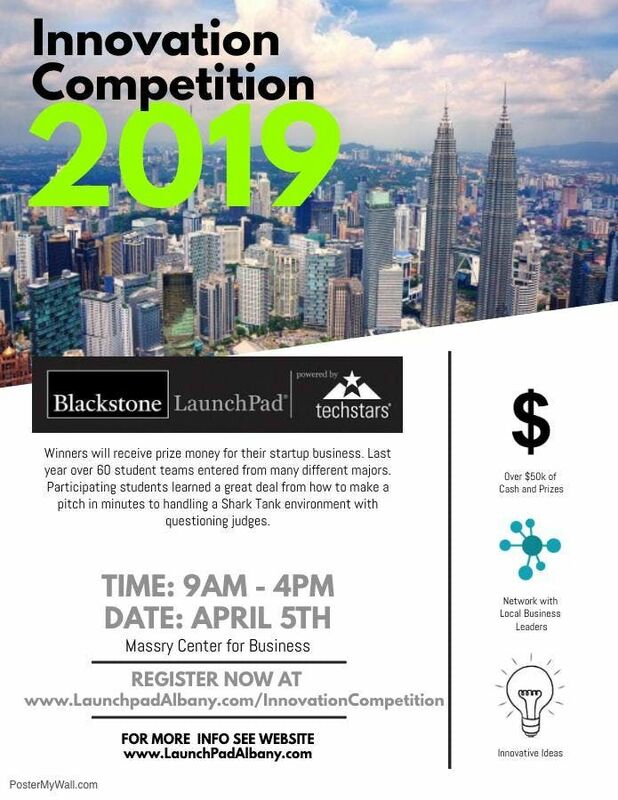 Winners will receive prize money for their startup business. The competition offers great experience to participants by havingthem pitch in a shark tank style environment. Last years pitches generated a lot of excitement and interest from the university, community, businesses, judges, etc. The counsel and coaching through the whole process is invaluable.